Afar People’s Party is alarmed by gross human rights violation and the deteriorating security situation in the country. Although less reported, the Afars are also the victim of EPRDFs wrong policy such as land grabbing, socio-political marginalization and extrajudicial killings. 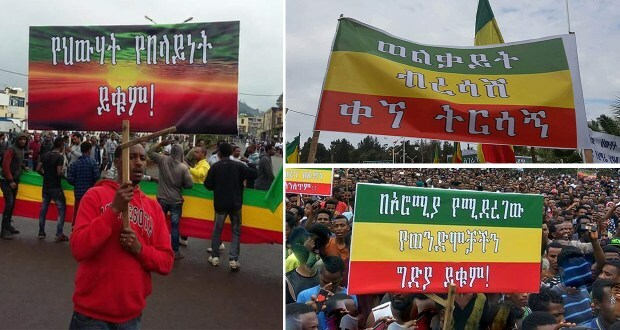 Hence, Afar People’s Party would like to express its solidarity with our Oromo, Ogaden and Amhara brothers. We believe that the prices we pay, the sufferings we endure and the quest for freedom are our common grounds, therefore we are standing by your side. We call up on EU and USA to revisit their foreign policies towards the regime in Addis Ababa, and take necessary measures in order to have a stable Horn of Africa. Long live the struggle for freedom!